I thought I would share one of my favorite combinations using the L'oreal Infallible eyeshadows. I like to think of it as an earth and sky color combo. I use Infinite Sky on the inner 2/3 of the lid, Bronzed Taupe on the outer 1/3, and Iced Latte as highlight under the brow. 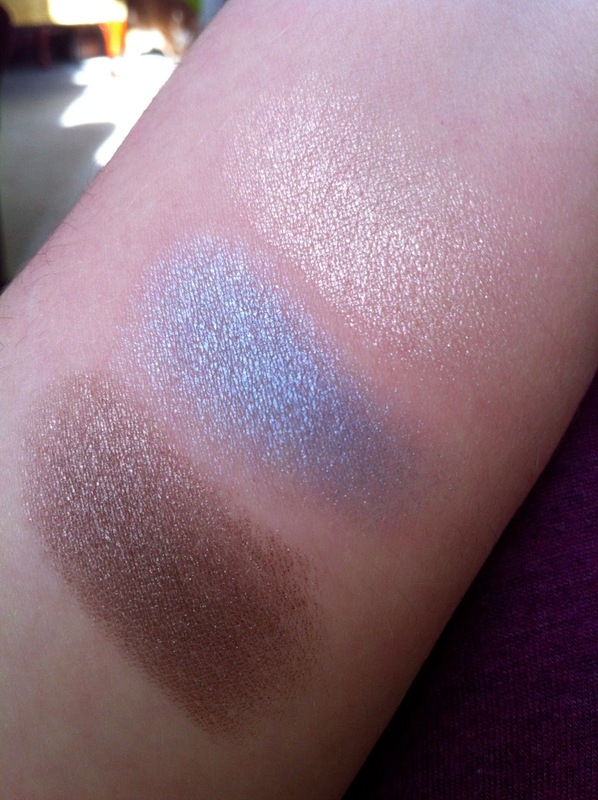 I love these eyeshadows. The are incredibly soft and nicely pigmented. They apply well with a brush or fingers. 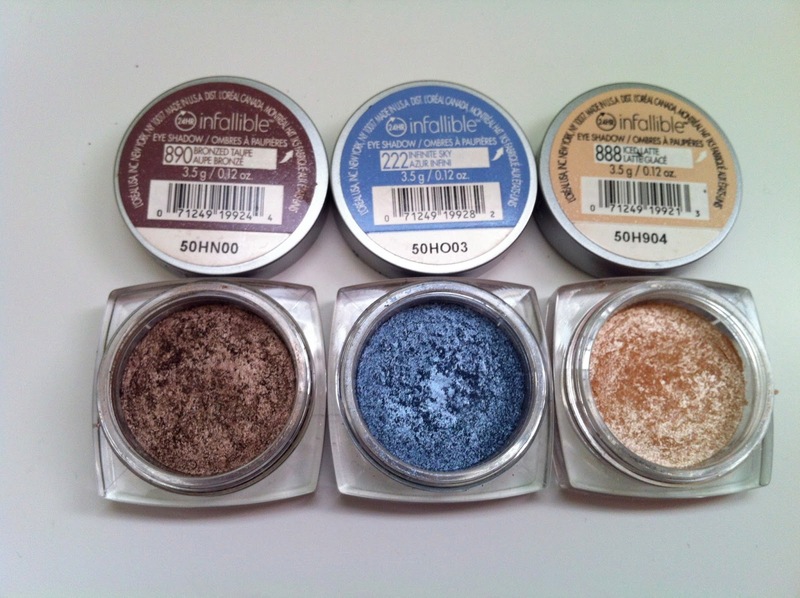 They can be used for sheer color washes over the entire eye or built up for more dramatic looks. 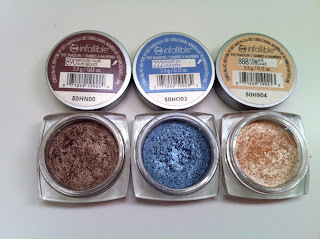 I do experience a little creasing with these at the end of the day if I don't use a primer. 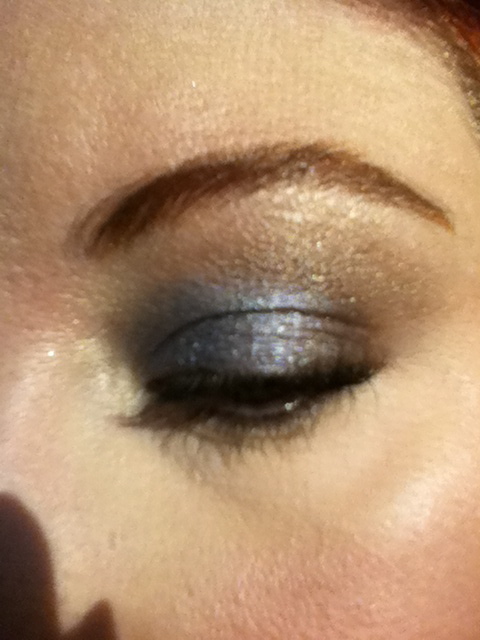 Here is the finished look using only my fingers for application. Oops--I have a shadow on my nose! I think green and gold would make a nice grass and sun inspired look. Anyone have any favorite nature influenced looks? I think my garden will give me plenty of ideas starting in the spring. I can't wait for spring!